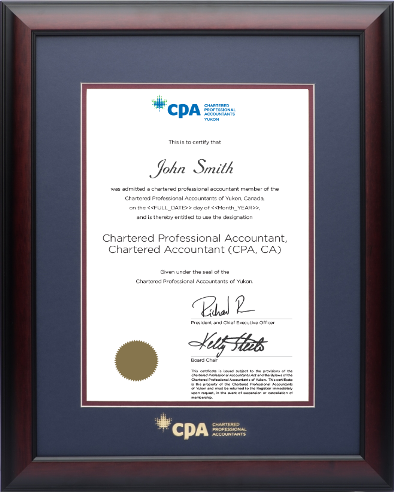 Satin mahogany CPA BC frame with blue velvet and gold bottom mat. Try to "Build Your Own" Frame! 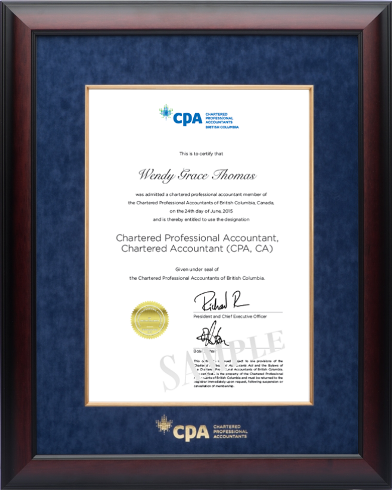 Our website offers you the choice to design your own frame for your CPA certificate where you can pick from hundreds of mouldings and colour combinations. 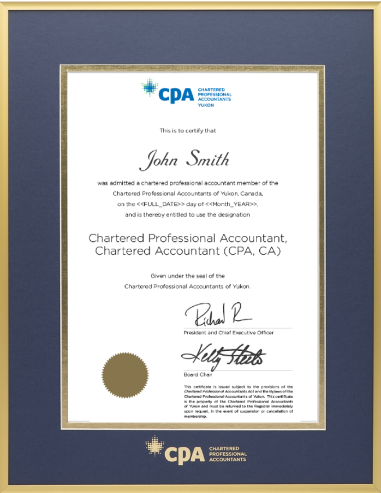 Click on the image to to the Build Your Own Tool.